I had so much FUN with my word last year that I had a difficult time choosing a word for this year. As Beverly so eloquently stated in a recent comment, "FUN is going to be a tough act to follow." Over the past month, I pondered several possible words, but the one that keeps coming up time and again and the ultimate winner is INSPIRATION! I don't have my year of INSPIRATION completely thought out yet, so I'll be using the month of January to ponder and study my word and set some goals and objectives for the year. My first thoughts are about finding, acting on and (in some cases) limiting INSPIRATION. I want this word to motivate me not only in my scrapbooking and crafting but also in my physical, spiritual and intellectual goals. 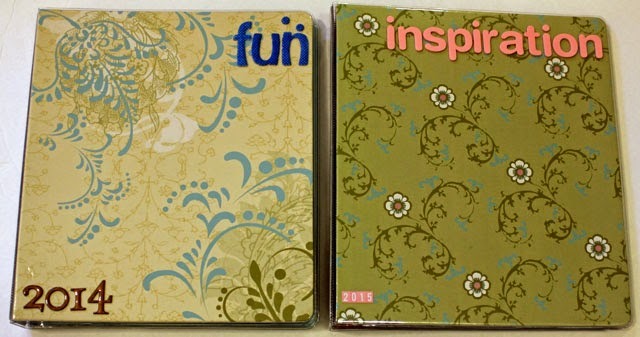 I enjoyed having a notebook and the prompts in Ali Edward's One Little Word class to guide me during my FUN year. I will not be taking the class again this year, however I will be using some of the prompts and ideas from the class and have chosen a notebook from my stash to use. As you can see, it's very similar to the one I used last year. I'm not planning to do a monthly photo collage, but I think I want to have a page for each month where I can document my journey with INSPIRATION. I pulled some papers and washi tape from my stash and will decide on a format and set up my notebook this month. 1. Vision Board - Several ladies in the Crafty Tuesday bunch choose words each year, and Ellyn suggested that we create vision boards during our first meeting of the year next week. 2. Start Fresh - I've signed up for the Simple Scrapper Start Fresh planning event, which came with two months of Simple Scrapper membership. I'm looking forward to this five day event designed to help us "create a meaningful 2015 plan and launch into a joyful year of memory keeping." 3. Amy's Annual Scrap (and Art) Retreat - my friend Amy from Austin hosts a five-day crop at her home each January. I'll be attending for the first two days and have already started putting page kits together so that I can be productive in the midst of enjoying visiting with Amy and meeting new friends. 4. Valentine's Day Card Class - I'll be teaching two sessions of this class at Scrappin' Goodtime the last week of January. 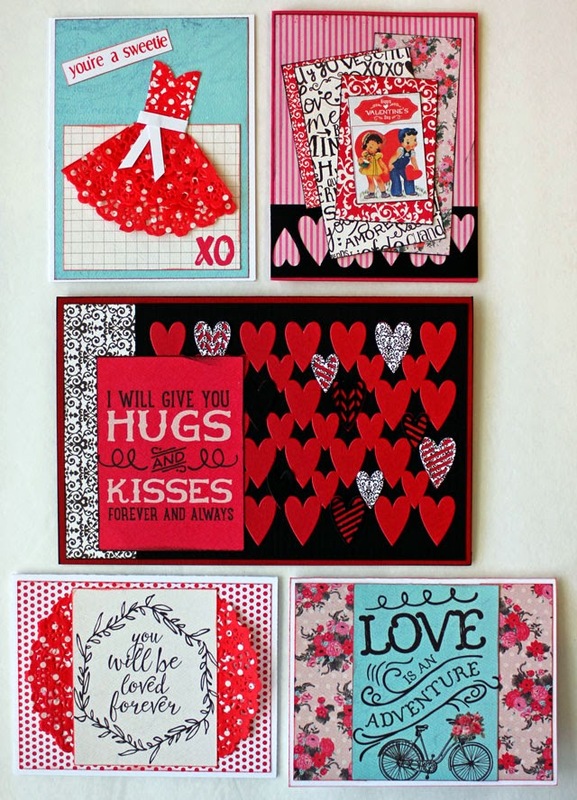 We'll be using papers from Authentique's Crush collection, the Sizzix Hearts with Layering Shapes die, and Doodlebug paper doilies to create five Valentine's Day cards. 5. Truth Scrap - I've signed up for the Truth Scrap event hosted by Lain Ehmann and am looking forward to INSPIRATION on "celebrating the intersection of faith and art." My friend Thayer is also signed up and will be joining me on the 31st so we can watch the live video sessions and craft together throughout the day. 6. Inspiration Sandwich - Throughout the year, I'm planning to read books on INSPIRATION, so I've chosen a book from our collection to start the year. I'm excited to begin this year of INSPIRATION! Have you chosen a word for 2015? If Inspiration plays as big a role in your life as Fun did, it's going to be quite some year ... And a five day crafting session sounds glorious! Sounds like you're off to a good start! I'm really interested in seeing what books you choose for this theme. looking forward to seeing where our "I" words take us this year! Inspiration for you and Imagine for me! Well "fun" certainly is a hard act to follow, but it looks like you are more than up to the challenge! Wow looks like you have a great plan to get inspired this year. Looking forward to hearing about your journey. That is the perfect word for you! 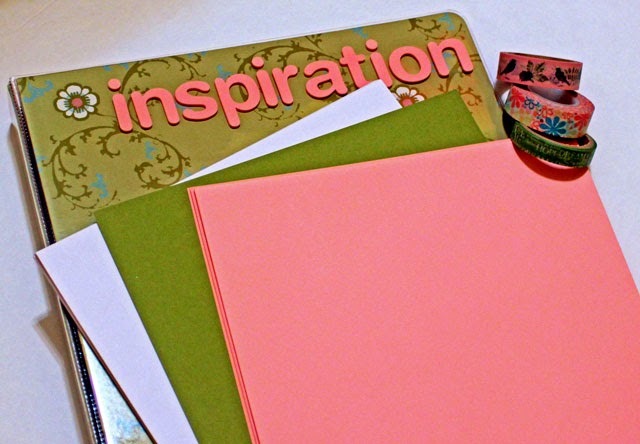 More because you provide inspiration to anyone who follows your blog! Can't wait to be inspired by you this year!! A great new word....good luck with it. I'm really looking forward to following your progress with Inspiration and being INSPIRED by all you do! Happy New Year Melissa. An inspiring word choice! Happy New Year. Sounds like a great word for this year. My word is Believe.